#33 is an album release from Leni Thio that talks about different topics that wrap around different facets of life. All of the music in this album are tied around a consistent sound and sweet rhythm. #33 album goes from fun songs to songs about good old days, dream worlds and holiday. It also consists of some more serious topics that bothers around racism and the conflict in Syrian. Leni Thio is just one phenomenal pop singer, her songs are with no doubt a work of passion as every single lyric comes from within. Her #33 album starts with a breath taking song -B-Style. The song has an interesting, energetic and fun sound. B-style is about a phenomenon in Japan called “B-style.” The song is great for all class of age ranging from teenagers to adult to enjoy every moment. Bikini Girl is next on the album. This song is one she dedication to a tragic event that occurred in Bali. The song is sure to connect to your heart in a way that is unimaginable and at the same time addressing a serious issue. It also follows the soft musical trend of sounds that Leni Thio embraces. Black & White is the third song on the list. This song is about racism and it is geared towards advice on coexistence between all races irrespective of color. With great lines like – could you paint a picture if it’s only black? and could you see anything if it’s just white?, the song goes a long way in bringing to light the need for peaceful coexistence. The next song on the album is Every Girls Dream. It is a song about a girl’s dream world; painting a picture of a fantasy world more like that of a Barbie Dream house. This song also follows the remarkable flow of Leni Thio’s music. If you like crazy with a little bit of sassy, then you should listen to this song! “Everyday Like This” is another song on the album. This song is a piece about what Leni Thio thinks to be simplicity of how every day should look like and enjoying a good day just living simple. Halloween is next on the list. Everyone loves Halloween and this song is great for every crowd. The tone of this music suits the theme of Halloween with all of its fun and goodness in just one piece – Leni Thio’s Halloween. I’m In Love is one breath taking song in #33 album. It is just about falling in love which Thio indicates that the love is one with a childhood friend. She also channeled this song towards preaching love and peace to Syrian War, where she painted a picture of the wars and pleaded for it to come to an end. This song is beautiful and inspirational, it just one you need to listen to. Merry Merry Christmas is another fun song on the album. It is about the beautiful Christmas holiday. The next song is the Moment to Remember, followed by Solo Traveler. #33 album ends with a song “Don’t Waste My Time.” This is a very straight to the point song that comes out plain and white. You Lear Leni Thio asking for her time not to be wasted because life is short for anyone to take you for a ride. Leni Thio #33 album is certainly one of the best things to happen to pop music this year. She is just amazing in her style of music. Her unique musical sound that brings out the best in her is totally out of this world. 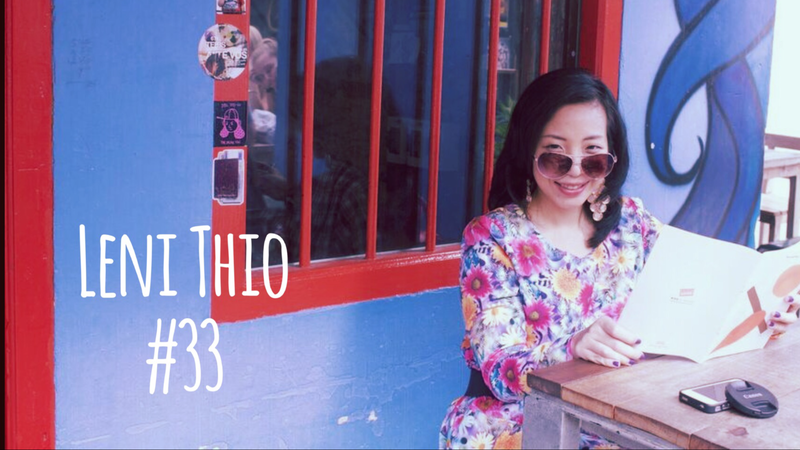 Listen to Leni Thio’s #33 album today on iTunes at https://itunes.apple.com/id/album/33/id1282657922 and be blown away!